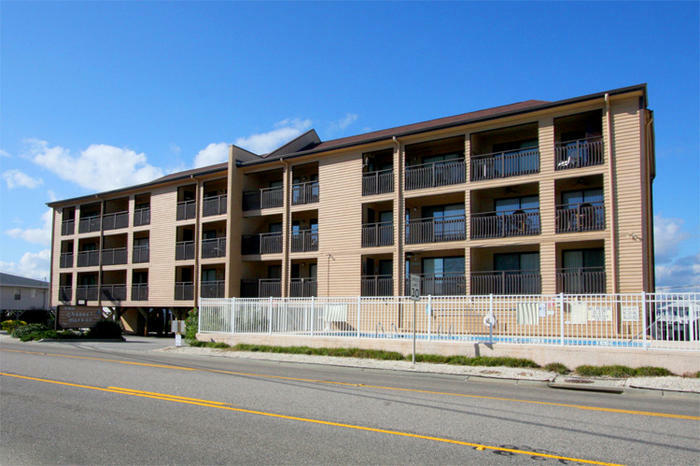 The oceanfront balconies at Channel Marker’s North Myrtle Beach condominiums feature outdoor furnishings. Watch the sunrise while enjoying comfortable seating on your private balcony or enjoy a meal in the sunshine while being just steps away from your nicely equipped kitchen. The sea breezes blow gently as the sound coming in from the beaches lures you outside. Channel Marker is a North Myrtle Beach resort that makes a wonderful headquarters for a family beach vacation in North Myrtle Beach, South Carolina. From this North Myrtle Beach resort you can go in all directions to find fabulous amusements and fun attractions to see and visit. You are just minutes away from everything when you vacation at Channel Marker in the Cherry Grove area of North Myrtle Beach, South Carolina. When you come to North Myrtle Beach, South Carolina you choose whether you have a restful, relaxing North Myrtle Beach vacation or a lively, jam-packed North Myrtle Beach vacation that is brimming with activities. A North Myrtle Beach vacation can go either way, especially when you make reservations for Channel Marker. A restful, relaxing North Myrtle Beach vacation might include time spent on the private ocean view balcony of your North Myrtle Beach condo rental. Read for hours the latest bestseller or write postcards to folks back home. Take a cup of coffee out to the balcony first thing in the morning and get yourself woken up as the sun rises beautifully. Later in the afternoon you might enjoy a cocktail on the balcony as the sun sets and the moon becomes a bright glowing ball in the sky that is surrounded by twinkling stars. In the middle of the day you can slip downstairs to the pool deck. While other guests of Channel Marker are inside or at nearby restaurants having lunch you can bask in the quiet calm of a still swimming pool. Go across the street to the white sandy beaches for a nap in a beach chair. It doesn’t matter how much activity is going on around you, when the warm sun hits your face and the sound of crashing waves reaches your ears, you will likely be lulled into a nice cat nap. Stroll the beachfront or stroll Brookgreen Gardens and admire the sculptures that are scattered throughout the majestic gardens. Try bird watching or a nature hike in an oceanfront state park that is in the Myrtle Beach area. Fishing the calm inlet is also a relaxing activity in which you might want to engage during your North Myrtle Beach vacation at Channel Marker. If you and your family are thrill-seekers and you want fun and adventure during your North Myrtle Beach vacation then you can find it right around the corner from Channel Marker. Rent a Sea Doo and jump the ocean waves or make an appointment to go tandem parasailing where you get a bird’s eye view of the Atlantic Ocean and beachfront while soaring through the air. There is bungee jumping in town for those daredevils and you might also want to try the slingshot rides if you like to get your heart racing. Water parks feature wild water rides and the amusement park has rides for the whole family. Go for a toe-tapping evening at one of the nearby live entertainment theatres where energetic singing and dancing productions will all but bring you to your feet. The adventurous eater might want to go for all-you-can-eat-crab legs or attend a local oyster roast. The nightlife in North Myrtle Beach, South Carolina can keep you out all hours of the evening, so each North Myrtle Beach vacation day can last as long as you want it to!